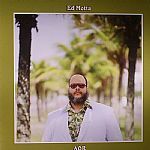 Review: Some three decades after making his debut, Brazilian synth-pop star turned veteran soul man Ed Motta continues to release brilliant music. 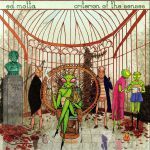 There's an undeniably classic feel to his latest full-length excursion, "Criterion of the Senses", which sees him add smooth and effortlessly soulful English language vocals to rich backing tracks that variously doff a cap to sumptuous samba-jazz (wonderful duet "The Tiki's Broken There"), revivalist synth-boogie (standout "Your Satisfaction Is Mine"), AOR rock ("Shoulder Pads"), sugary jazz-funk ("Sweetest Berry", the Clavinet-happy shuffle of "Novice Never Noticed") and solo-laden smooth grooves ("X1 In Test"). Review: Launching a little under three years ago, How Do You Are's Too Slow To Disco series has been expertly excavated and with every compendium. 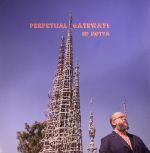 But for their first international chapter takes things to an even more detailed level as Rio songsmith and composer legend Ed Motta is handed the curation gloves. 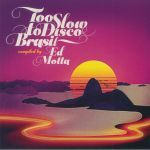 Picking across the soft-focus funk, yacht and boogie axis; Ed's perspective and translation of Brazilian soul is a unique and powerful experience that hits in all directions across the 19 track set. From the swooning jazz-tinged big band ballad of Lucinha Turbull's "Toa Manha Brllha O Sol" or the crooning tones of Zeca Do Trombone's "Rota-Mar" right the way through to faster, new wave pieces such as Kiko Zambianchi's "Estreia", this is Too Slow To Disco's finest outing yet.